A good friend of mine is disappearing off to the states and so in order to bid him farewell I thought to fill him up with some great London beer. With this in mind, I took him to the London Fields brewery in Hackney. It was my first visit, but I knew their beers and heard excellent things about their newly revamped Tap room. I was happy to find that the Tap Room is a lovely space to enjoy a beer. There is a big glass open front which allows a lot of light into the venue, very handy when inspecting the colour of your beer. But there was also an excellent atmosphere – music was played at an unintrusive level and there was a pleasing hum of conversation. The blank wooden walls and simple furnishings worked nicely, creating an uncluttered atmosphere in which you could enjoy your beer. The beer was the major and enduring positive (as it should be) due to the large range available at the bar. I was happy to see that the four beers on cask; Hopster, Make Love Not War, Triangle IPA and Black Path Porter, were also available on keg. On top of this they had further keg offerings, which included regulars such as unfiltered lager and their wheat beer, as well as experimental beers such as their US Amber ale, sadly this ran out just before I arrived. The variety was impressive and their snazzy branded half pint glasses meant you could easily taste your way around. I was also greatly pleased with the takeaway service, where you could buy most bottles for £2.50 (including some 500ml). This meant, as well as being able to leave thoroughly happy with my afternoons drinking, I left with a few brewery fresh bottles to enjoy over the coming weeks too! I should just mention a couple of things that I would have like to see improved. Firstly, food, which is becoming a constant theme of our craft pub reviews (see our Craft Review for the most recent example). The Tap room did offer some hot food in the form of stew and soup, which, whilst it did look quite tasty, was not the type of sustaining food you want when exploring your way around the pumps. This is only a minor point, as I realise that the purpose of the Tap room is beer and not to double up as a restaurant. Secondly, they advertised gift packs for sale, which I believe are a branded glass and two bottles, however when I asked to purchase one,the member of staff did not know anything about them. This is another minor point, but I was disappointed not to come home with one. London Fields Wheat Beer – I love Hefeweizen, and this did not disappoint at all. The trademark flavours of bubblegum and banana were there, however what I enjoyed most were the levels of spice. This was a spicy and vibrant wheat beer that got the afternoon off in style. London Fields Hackney Hopster – I’ve had this a few times before, but it really is true that drinking a beer fresh from the brewery does make a difference. Made using the aromatic Motueka and Nelson Sauvin hops, the freshness of the beer really showed off the power of the aromatics that can be achieved using these hops. Citrus, grass and slight tropical fruit notes all came together and were underpinned by firm malt characters. This will be a firm favourite of mine for the forseeable future. 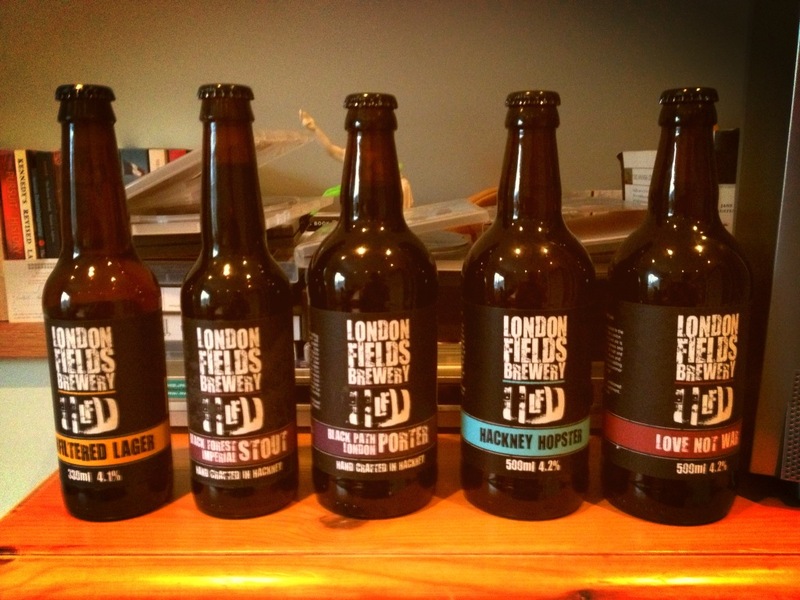 London Fields Love Not War – a much darker and smoother offering than the Hopster. The roasted malts really came through, with wonderful caramel flavours. There was also a pleasing stone fruit flavour which balanced the beer. It was a wonderful change of pace, and I think my favourite beer of the afternoon. I was pleased to see the effort to ensure tight balance between the hops and malt. 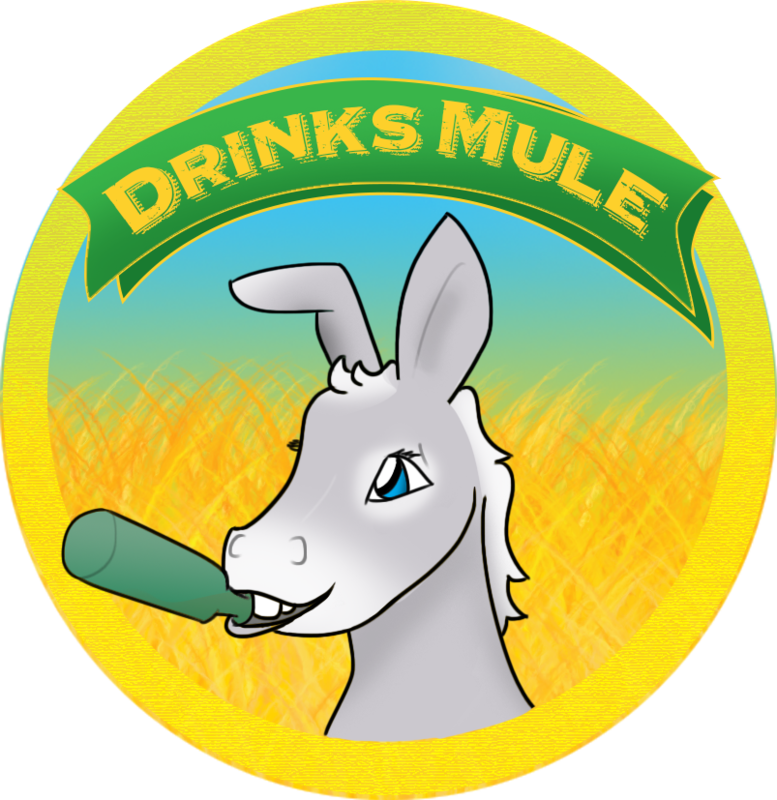 Sometimes I feel craft brewers are too zealous with their use of hops and their desire to produce the bitterest beer they can, which means they forego balance. 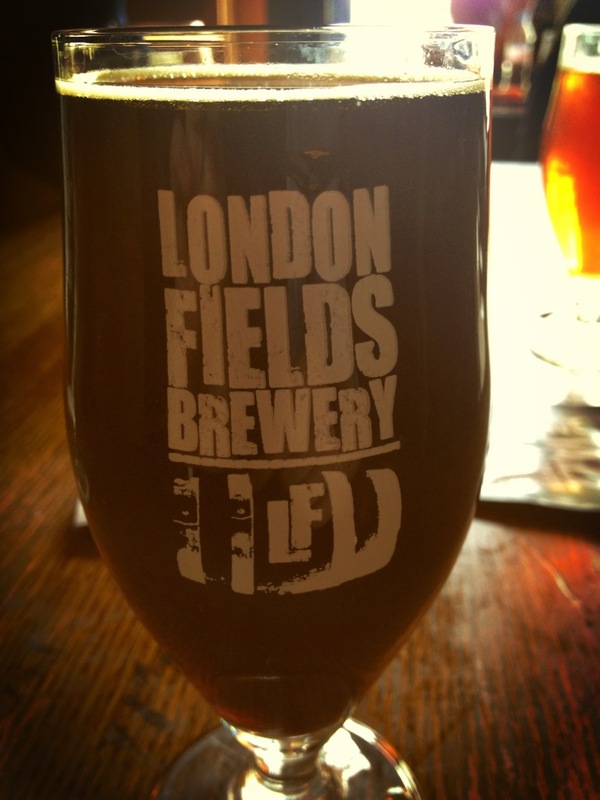 London Fields Unfiltered Lager – a great way to cleanse the palate and refresh myself. Wonderful gold, with a slight haze. It was bitter, biscuity and had real bite to it. This is the kind of lager I could drink on a regular occasion. It had a long and pleasant finish and with spring beginning to appear this will become a BBQ staple. London Fields Black Path Porter – what better way to finish the day than with a sneaky half of their Porter. A brooding brown in the glass, it was quite light bodied for a Porter. Dark chocolate was the over powering flavour, with undertones of coffee. It was very refreshing, and it’s nice to drink a dark beer that’s not cloying. I hope other brewers take note. What I managed to take home! I cannot recommend a trip to the London Fields tap room enough. A great selection of beers and wonderful atmosphere. I took a bottle of everything I tried away with me, as well as a bottle of their 9% Black Forest Imperial Stout (will let you know what I think soon) and I look forward to drinking them all and remembering an excellent afternoon. Now I just need to hunt down one of their branded glasses…. London Field’s Taproom is open every weekend.